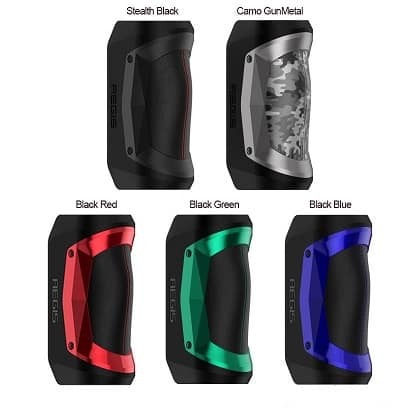 Geekvape Aegis Mini 80W TC Box Mod features ergonomic design with extreme water, shock and dust protections, which is powered by 2200mAh built-in battery and powers from 5W to 80W. 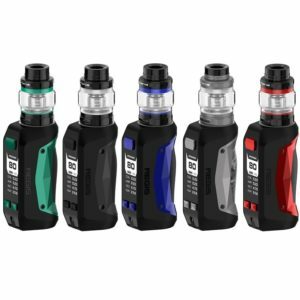 Equipped with the advanced AS chipset, Geekvape Aegis Mini Mod supports an outstanding power output accuracy in both power mode and temperature control mode. Made of the mixture of alloy, leather and SLI silicon, it intense durability and very compact. There are display screen offer date of vaping, and three button interface has an oversized firing button with a dual adjustment buttons to navigate the interface. The Geekvape Aegis Mini Box Mod can charged by USB port with 2A fast charging that can charge up to 80% in just 20mins.